With every visit customers can expect an exceptional shopping experience that leaves them feeling like family. Known for a commitment to customer service, Chagrin Saddlery’s highly experienced staff can assist in outfitting English riders from a first lesson to showing at the highest levels while offering the most classic styles as well as the edgier European trends. Chagrin Saddlery also has a large selection of gentrly used high quality saddles from CWD, Antares, Butet, Devoucoux, Pessoa and so much more! Try one today. 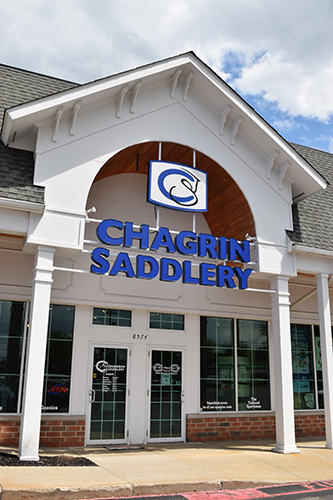 Chagrin Saddlery also plays home to the largest equestrian consignment store in NE Ohio. From the highest quality tack and apparel at a fraction of the price, stop in today!